Thank you for considering Padua College for your son’s future education. 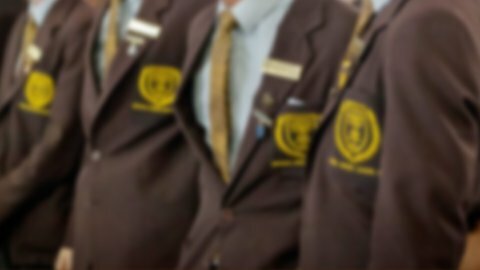 Padua College provides boys with the opportunity for an education, which is not only Catholic but distinctively Franciscan. As a faith community based on Gospel values, we emphasise the value of each individual and aim at providing an education that is both relevant and personal. Within this context, Padua College strives to maximise each individual’s attainment of excellence, while fostering his responsibility to our community as well as the wider global community. In order to apply to Padua College as easily as possible, please complete the following 6-step application form before continuing to the Payment Portal where you will be required to pay the $100 booking fee (payable by credit card using either Mastercard or Visa). Upon successful completion of the form and payment, a receipt will be emailed to you and your son’s name will be placed on our enrolment wait list for the appropriate year of entry to Padua College. Please note that for security reasons, you must complete the enrolment form and payment within 30 minutes. If you are unable to meet the timeframe, you may be forced to restart from the beginning, or you might not receive your receipt after successful payment. Applications received without a Birth Certificate will not be considered. Please ensure you have this available for upload during the online process. For other enrolment information, please contact the Enrolments Office via email to enrolments@padua.qld.edu.au. We accept Year 5 enrolment applications once boys commence Prep. A booking fee (non-refundable) of $100 must be paid when lodging an application using either Visa or Mastercard. The application cannot proceed without payment. Year 5 applications are processed and places offered two years prior to possible commencement. Information on this application form is confidential. This information will be used by the Rector and the Enrolments Officer to process your application.